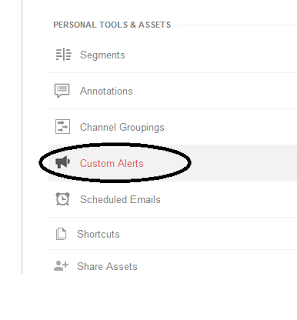 How To Set Up Alerts for 404 Error Pages in Google Analytics? To a casual web surfer, there's nothing more annoying than hitting rock-bottom, i.e. getting a soft 404. I mean sure, things can be spiced up by adding creative 404 pages and what not. But a 404 is usually not a good sign, and shows negligence on your part. Server errors (3xx) are somewhat tolerable (and permissible), since there's no controlling a web server. But a 404 is something a webmaster can easily correct. 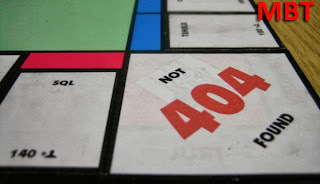 Talking about which, Google Analytics can make finding 404 errors a lot easier! There's a small trick you can use to get alerts for 404 error pages, so that you'll be the first to know when there's a 404 broken link on your site! Of course, there are other, more advanced ways of finding and fixing 404 errors. Google Webmaster Tools can be a starting point, and so can be Google Analytics (we'll discover troubleshooting 404 pages with Google Analytics in a later post). And so many others. But Google Analytics remains one of the best analytics software out there. And for what it's worth, this particular little trick can come in really handy - something webmasters should definitely try. Setting up alerts is really. All you need to do is create a trigger, and an associated action in Google Analytics. Follow these steps to create a 404 Alert. Check the box that says Send me an email when this alert triggers. You can set multiple email addresses here. Bonus for people in US; you can also set up a phone number, where you will receive text messages right on your cell! In this case, I have set up an alert for all pages that contain the phrase "404 Not Found" in their title tag. This might be different for different sites, so if you want to be accurate, just navigate to a 'bogus' page on your website, and notice the page title. "404 Not Found" might not be in the title of your error page (it might be something like "Oops, we're sorry" etc.). Next is the condition. I have selected Pageviews to be monitored for my 404 pages. I could use 'Visits' or 'Unique Views' too, but 'Pageviews' seems to give the most accurate results. In the condition, select "is greater than", and then enter a value in the field given next to it. Now, you should get an email notification whenever a "Pageview" "Greater than" "0" happens for your pages that contain "404 Not Found" in their "Page Titles". very nice and informative sir. hope i will a have a bit from this tutorial. Really amazing post.According to Wikipedia “The 404 or Not Found error message is a HTTP standard response code indicating that the client was able to communicate with the server, but the server could not find what was requested.” Or, in more general terms, the 404 is the error you get when the page you are looking for does not exist, usually because the link you clicked was broken. Thanks Sir for resounding it... We need people like you! Now I found the key to manage my 404 page! This blog really help me in understanding the HOW's in blogging. Thanks MBT family as usual. Check my blog and plz tell me why adsense disapproval me.